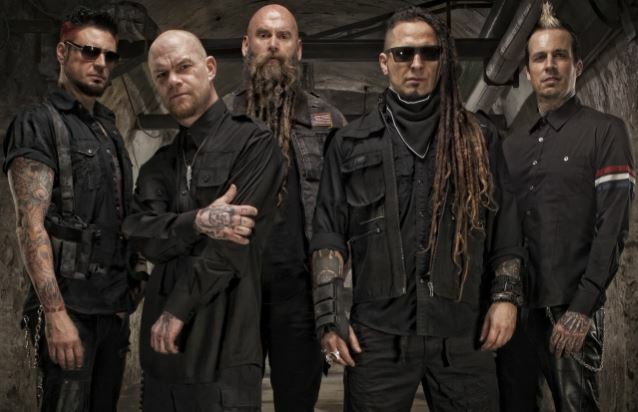 According to TMZ.com, Five Finger Death Punch frontman Ivan Moody's wife has filed for divorce, accusing the singer of infidelity and being violent during the relationship. Holly Smith claims in the divorce documents to have confronted Ivan Moody in a Las Vegas hotel room after finding texts on his phone from other women. After falling asleep, she says she awoke with Ivan's arms around her neck in a jiu-jitsu submission hold. She claims Moody then repeatedly punched her and attempted to choke her with a blanket. Moody was arrested for domestic violence, but the charges were later dropped. Holly Smith has requested financial support claiming that Ivan earns around $66,000 a month with his band.